As you are probably aware of, process of migrating data is one of the biggest challenges for any Magento migration project. 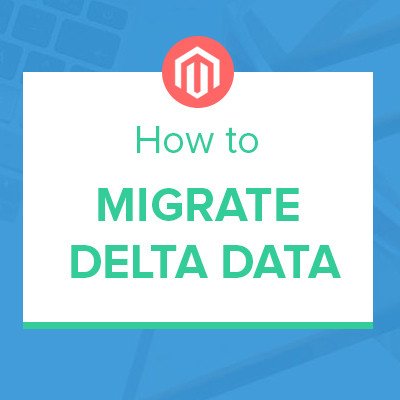 If you have taken the decision to transfer to Magento 2, it is almost a no-brainer that you should be using a data migration tool to ease the migration process. Due to the complex difference of data structure between Magento 1 and Magento 2, you should know all the important aspects to get fully prepared before you start the migration procedure. Last month, we had a great chance sharing our findings about Magento data migration -- (Infographic) 10 Questions To Ask Before Any Magento Big Data Migration which was featured on Cloudways (you can browse the full article here). It covers top 10 questions that you might take into account when coming up with a migration plan. Since users reach us at Ubertheme with repeated questions as well, especially from ones who are new to our UB Data Migration Pro tool, we decided to put the commonly raised questions (FAQs) about our UB Data Migration Pro together below. This FAQs would be a good starting point that helps you prepare your migration plan properly. Q. What is the best data migration workflow? Q. Can I migrate from a remote Magento 1 database? Yes. With UB Data Migration Pro, the source and destination databases could be from different MySQL servers. Q. If I have a big database, how to speed up the migration process? UB Data Migration Pro’s revamped codebase gives itself a big speed advantage. For large-scale database, having a dedicated server, with PHP Memcached enabled and using our migration tool’s Command-line-interface (CLI) mode are still the fastest and most powerful choice. Q. If I have custom attributes / fields, can I migrate? UB Data Migration Pro migrates core & custom attributes for Products. For customers, the tool migrates core system attributes only; custom fields for sales data are not handled yet. Q. Can I do an initial migration, then do another sync & get new orders, customers? Yes. UB Data Migration Pro allows to migrate incremental changes since the last time you migrate data. You can append only new Magento 1 entries to Magento 2 where new update occurs. Q. Will customer passwords be migrated over? Yes. All passwords are automatically ported to Magento 2. Customers will not need to set a new password. Q. Does UB Data Migration Pro change the url structure of categories, products? No. UB Data Migration Pro simply migrates URLs from M1 to M2 and makes no changes to the URLs structure of products, categories. Q. I do not have admin privileges (a client project), could I still use your tool without having to change server settings to proceed migration? Yes. Simply define the source (your M1 database), then our migration tool will automatically detect & fill in the appropriate Magento 2 database fields. Q. Is there a video tutorial where I can have a closer look into the migration process? Yes. With 8 visualized steps, migration process is self-explanatory & easy to follow. See the 9-minute tutorial video here. Q. Is there any case study on Magento data migration projects that I can learn more from? Yes. Here are two recent successful Magento data migration projects using our migration tool – Winetasting.com migrated 382,047 customer entities to Magento 2 – and Freelaunch.nl migrated 230,000 products to Magento 2. Hope that the common questions above can help you have a closer look into our UB Data Migration Pro tool and see if this is a good fit for your Magento 2 migration project.